Nowadays, you would notice that most interesting apps and games in Google play store are paid for to download due to their unique features. Most of the awesome android apps that are paid to download in Google play store, you can get similar apps free on most third parties android app store like Blackmart and Applanet. Those app are of good help to android market and also have an excellent user interface which enables you to search the particular paid app you wish to download at no cost. To get this third parties app downloaded on your android smartphone, you have to first enable unknown source function. To enable this function, ==> Click the “Menu” button on your home-screen. ==> Now go to “Application” tab. ==> Now click the “Unknown Sources” option. Download blackmart Here and Applanet Here. Then run and start surfing apps that are paid on Goolge play at no cost. Actually, with google search, you would discover most sites that offers those paid apps on Google play for free. What matters more is how you do the search on google search engine. 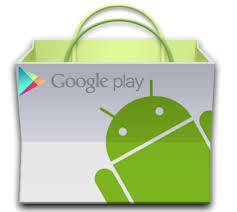 ==> First go to google play store and find the desired app. ==> Once it's a paid app, read through the app details and get to know the version of the app. ==> After you have gotten the version then go to Google.com and search the app with it’s version number and writing ”apk” at the end of it. For instance, If the app name/version were to be "pes 2012 v5", simply search on google engine, "Pes 2012 v5.apk downloads"
With this tricky search, you would discover list of sites that already have those paid apps and are willing to offer them for free downloads. This second method seems to look familiar to most of us, but it's also a good way of getting Google play paid apps for free. This is a very broad website of different categories of app to download, and you can equally find almost all those awesome paid apps in Google play uploaded in 4shared. To cut the story short, simply visit 4shared.com and you would also see an easy user interface where you can search the app you wish to download. Get the app downloaded and install. ==> Click the “Menu” button on your home-screen. Hope this little piece of information helped? This is really cool but Chinoso, will this trick work on Windows phone as well? Nope, it won't wrk 4 windows 4n, but that google search engine method can wrk with that of 4shared.. Just try to end the format with ".cab".. Thanks for sharing information about this fab Google play store . It is very useful .This is a very broad website of different categories of app to download, and you can equally find almost all those awesome paid apps in Google play. I am blackberry user I wanna download some cool apps on my device but in blackberry world most of the cool apps are in paid section. So I wanna download paid apps for free on blackberry world. It's possible on blackberry devices?